Mexico is a wonderful country, with a great many endemic mammals and yet seems rarely visited by mammal watchers. I first visited in 1989 and spent 8 weeks backpacking around Mexico. I don’t remember seeing any mammals, though I wasn’t really looking and spent a good deal of my time doubled-up in pain in the toilets of various long distance coaches. I returned in 2012 for a week and again in 2015 for a night in Mexico City. 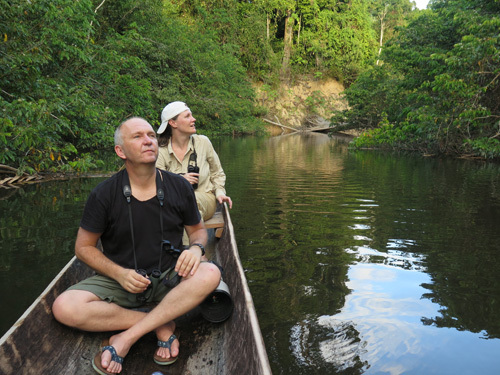 In 2018 I returned for long weekends with Mexican biologist Juan Cruzado Cortes to Oaxaca and Mexico City and Veracruz and to the Yucatan Peninsula in 2019. During a night here in 2019 we caught Ghost-faced, Orange-throated and Great Fuit Eating Bats along with Big-eared Climbing Rats in Calakmul. Elsehwhere in the park I saw Deppe’s and Yucatan Squirrels, Grey Foxes, Central American Agoutis and Spider Monkeys, plus a White-nosed Coati and a Kinkajou. 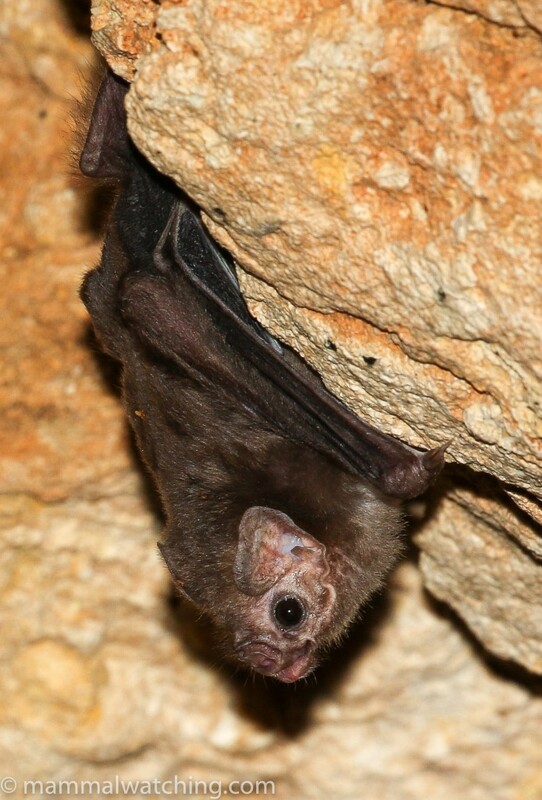 There were Woolly False Vampire Bats and a Greater White-lined Bat roosting at Hormiguero nearby. In January 2012 I was looking for a place to do some work and see a few mammals on the side. I had been emailing a bit with Mark Olson, a Mexican botanist, who was also interested in mammals. He had told me about the research at Cuixmala Reserve, which was run by Mexico’s National Autonomous University. It sounded perfect. The station is not open to the public. But as I claimed I was a friend of Mark’s (which might have been exaggerating a bit I suppose) they let me stay in a dorm for 5 nights so long as I let them have my photographs for their library. A perfect place to relax, work and look for mammals: not necessarily in that order. 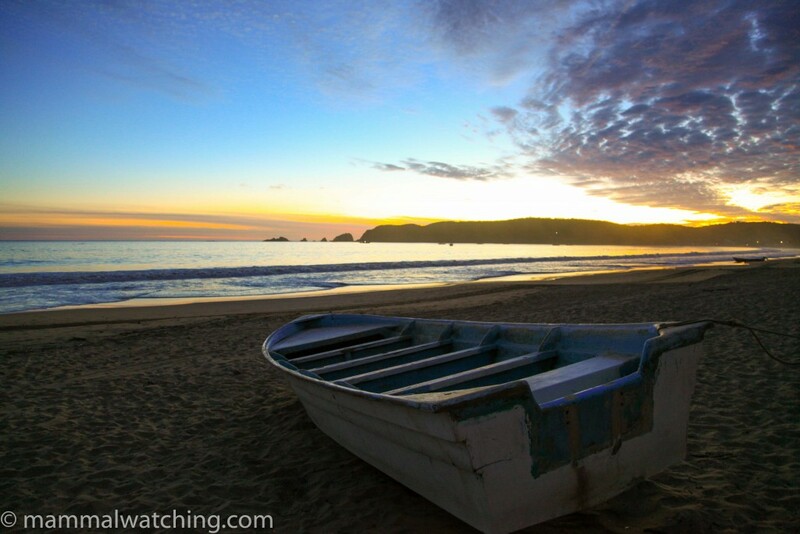 I flew into Puerto Vallarta, a pretty town on the precipice of being ruined by mass tourism. Chamela is a two or three hours south. En route I stopped at Le Kliff restaurant just south of Puerto Vallarta for a drink in the late afternoon and a Coati was hanging around the kitchen. I spent 5 nights at Cuixmala. January is the dry season and a good time to see mammals, or so I was told. I spent a couple of hours most nights spotlighting from my car (outside the reserve – there aren’t any roads in the station) and a bit of time looking on foot at night too. I didn’t do a great deal in the day other than check small mammal traps and take an early morning walk for a couple of hours. An impressive list of mammals have been recorded at the station. I did not have a lot of luck finding most of them. Mark Olson, from the Mexican Autonomous University, told me that Jaguarundis were relatively common, but no one I spoke to at the station had seen them more than once. The only diurnal mammals I saw during the day were the endemic Collie’s Squirrels, which were quite common, as were Coatis. I saw a large group one morning cross a steep little creek a kilometre from the station, while another was hanging around the back of the kitchen. 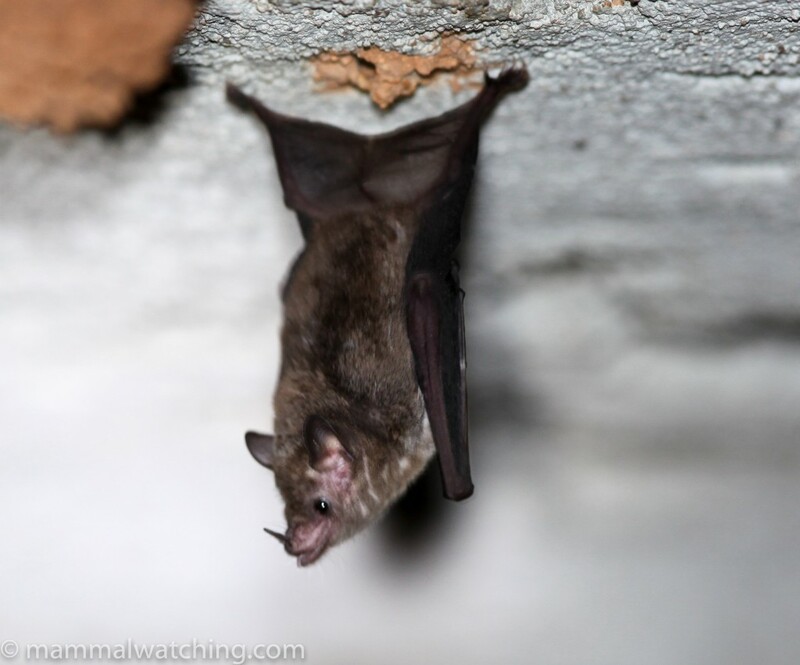 A colony of Grey Sac-winged Bats were roosting in a tunnel cut into the research station below the kitchen. 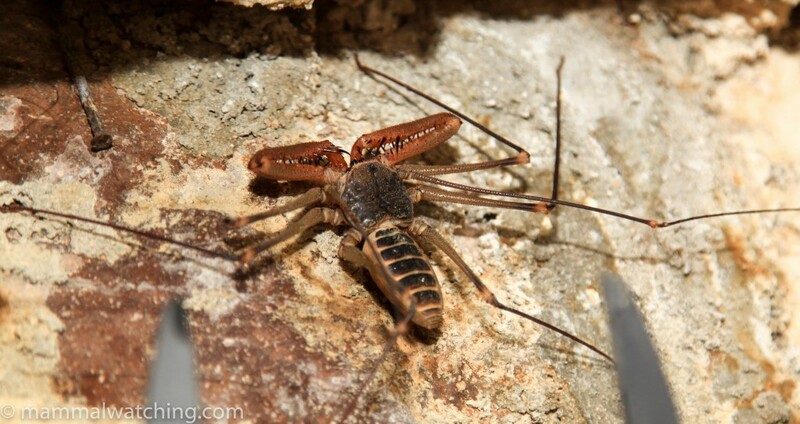 I saw a Common Long-tongued bat using it as a night roost too, along with some impressively large and scary looking Whip Spiders. Small mammal trapping got more productive as the week went on. I caught nothing on the first night, and then just a single Painted Spiny Pocket Mouse on the next two nights. 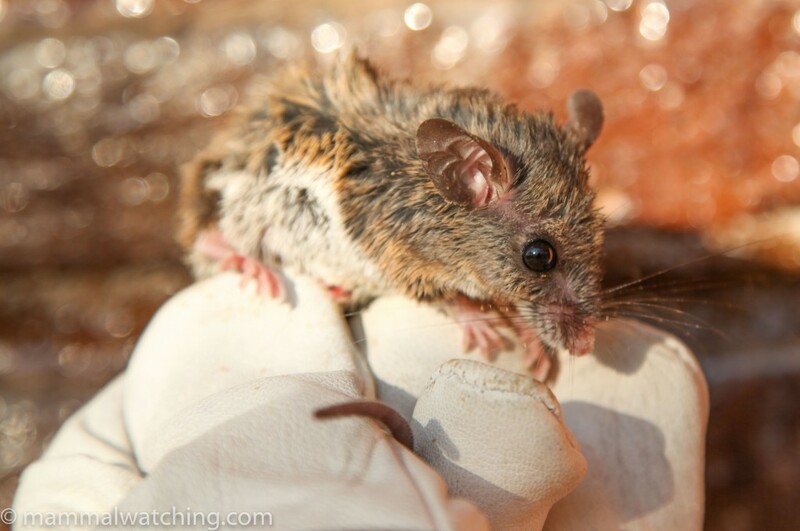 On the 4th night I caught several pocket mice along with a Marsh Deer Mouse. 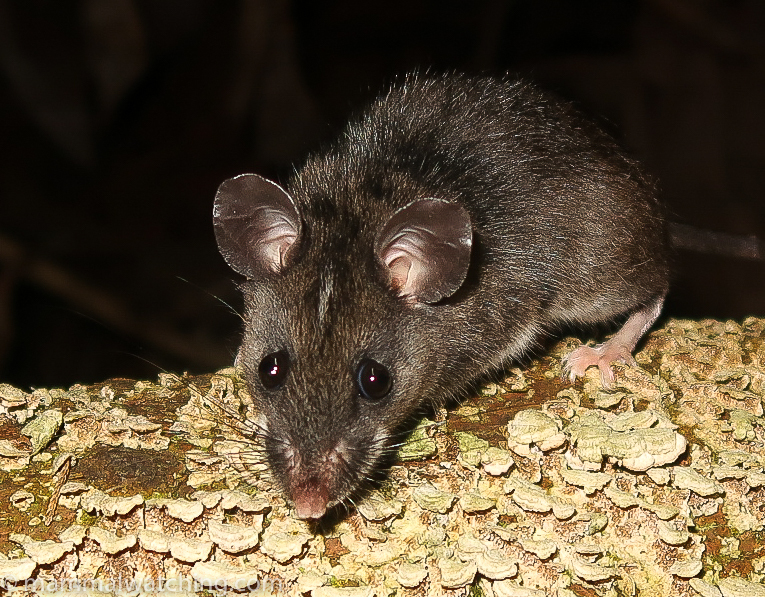 On the last night I added a couple of Michoacan Deer Mice to the list. I caught both in the bat tunnel where they were easy to see scurrying around, but hard to identify. Ten hours or so of spotlighting by car and foot produced only a single Virginia Opposum. It was not easy to find a quiet stretch of road to go spotlighting along in the early evening (the gate into Chamela shuts at 9 p.m.). But there were mammals around. I found fresh Puma crap (or I guess it could have been Jaguar) just 100 metres from the research station itself. I also looked for Mexican Cottontails along the highway south of Chamela, especially near the El Careyes Hotel gate (around KM 54) where they were supposedly present. I couldn’t see any. 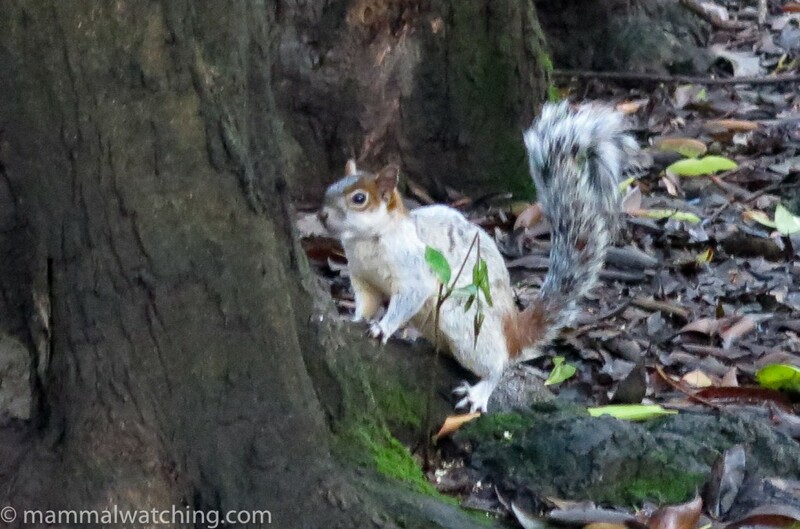 In July 2015 Mexican (Red-bellied) Gray Squirrels were easy to spot in Chapultpec Park in the middle of Mexico City early in the morning. 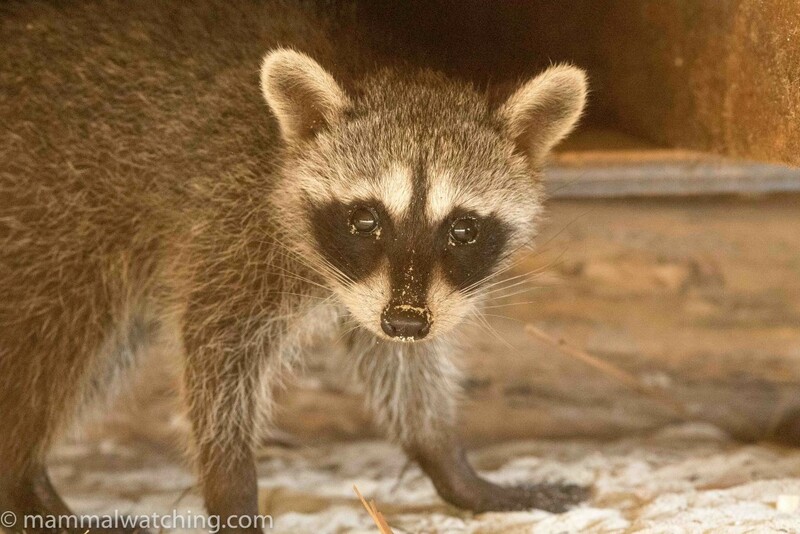 And Raccoon were I assume also common at night, judging by the amount of trash next to each rubbish bin in the park. In 2018 a morning a Milpa Alta produced several Volcano Rabbits, Eastern Cottontails, a Mexican Cottontail and a Merriam’s Pocket Gopher. 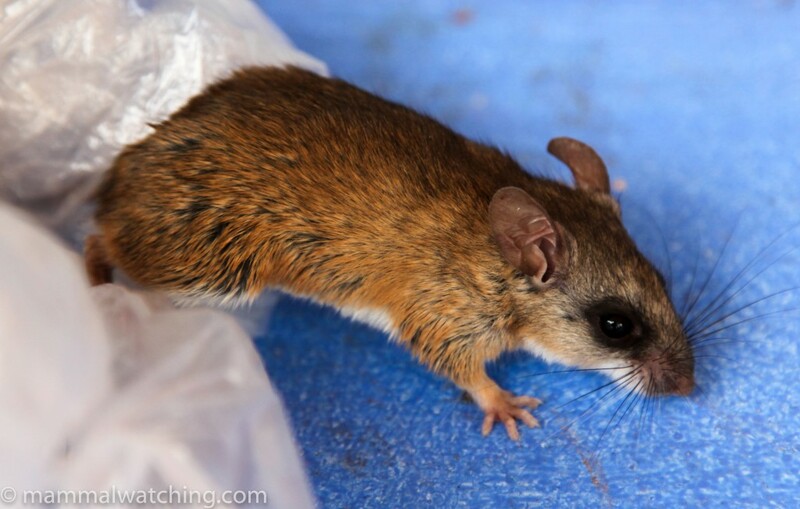 Small mammal trapping was productive with many Volcano Mice, and fewer Black-eared Deer Mice and Sumichrast’s Harvest Mice. I missed two Long-tailed Weasels that morning, which others in the group saw. 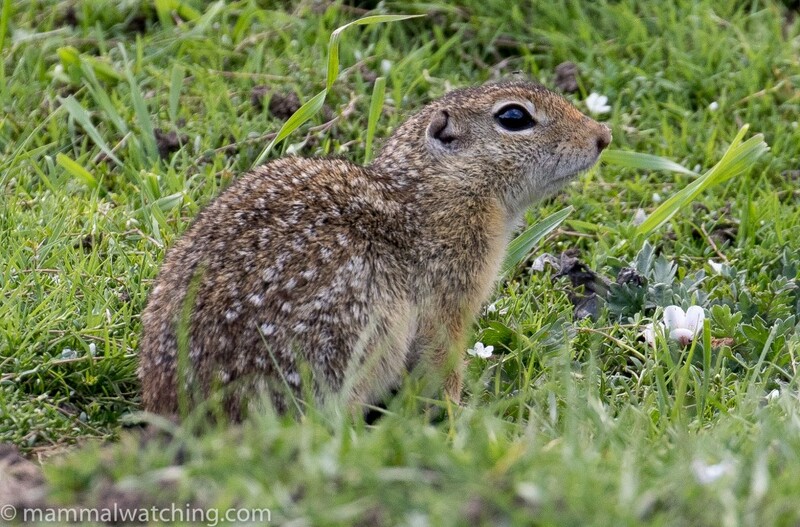 On the way back to the airport in 2018, I spotted a Mexican Ground Squirrel at Zoquiapan (which is now a different species to that in the SW USA). A long weekend trapping in Oaxaca in March 2018, with Mexican biologist Juan Cruzado was a lot of fun. Though rodent populations seemed quite low, we caught a few nice endemic rodents and some great bats too. In 4 days we caught and saw Mexican & Eastern Cottontails; Rock Squirrel; Osgood’s, Zempoaltepec, Plateau and Mexican Deer Mice; House Mouse; Hooded Skunk; Kinkajou; Sowell’s Short-tailed Bat; Northern & Honduran Yellow-shouldered Bats; Aztec & Toltec Fruit-eating Bats; Mexican Free-tailed Bat; Van Gelder’s Bat (mega! ); Big Brown Bat; Allen’s & Little Yellow Bats and Cave & Hairy-legged Myotis. I spent the last morning of my 2012 visit looking for dolphins on a boat trip arranged by Wildlife Connection out of Puerto Vallarta. 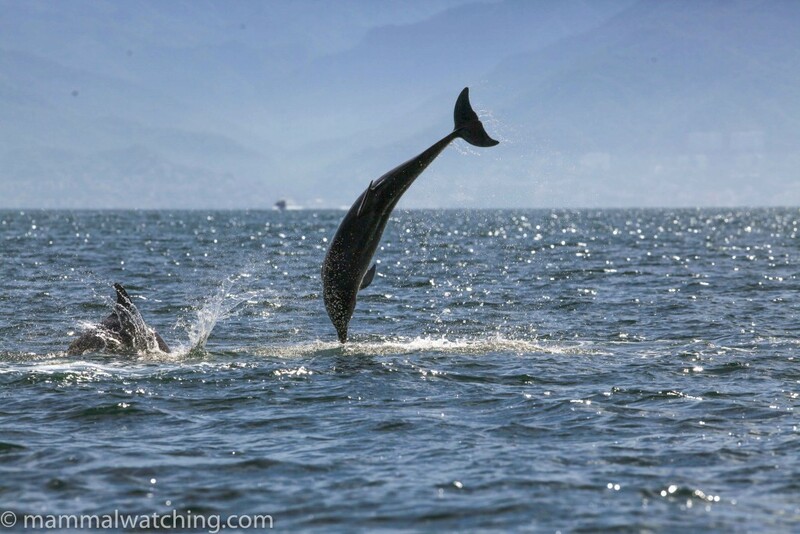 They organise whale watching trips as well as swimming with Bottlenose Dolphins. It was a fun trip. 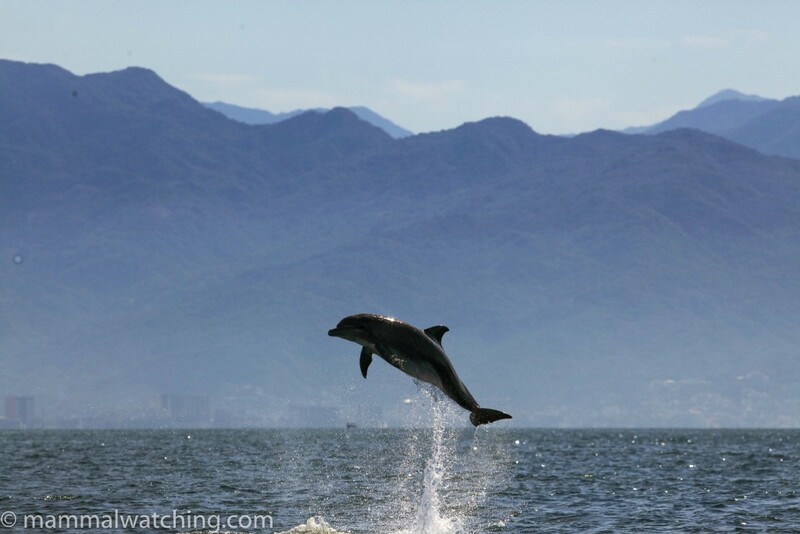 They told me they see Rough-toothed Dolphins occasionally, and our guide reckoned they were quite common further out. He thought the best way to see that species was to get a spot on a fishing boat. 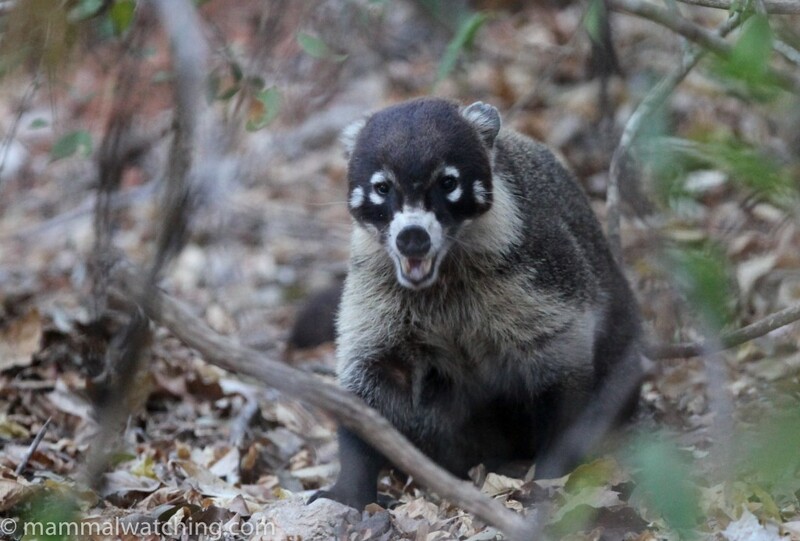 A day on Cozumel Island in October 2015 produced -with the help of David Valenzuela and his colleagues – an endemic Cozumel (Pygmy) Raccoon and many of the Dwarf Coati subspecies. See my 2015 trip report. 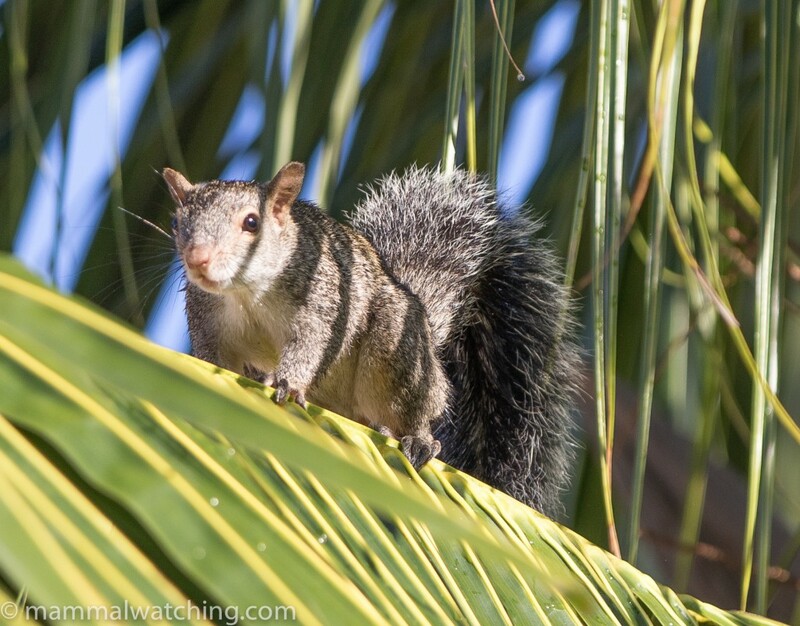 The next day, in Puerto Aventuras, I saw Central American Agoutis, a Coati and my first Yucatan Squirrels. See my 2015 trip report. 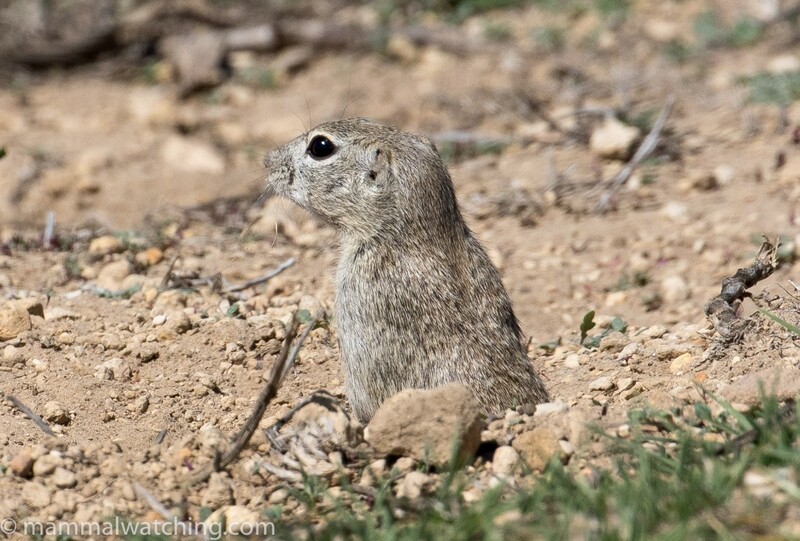 We saw quite 10 or more Perote Ground Squirrels during two mornings at Totalco in 2018, along with an Oriental Basin Pocket Gopher and many Rock Squirrels. 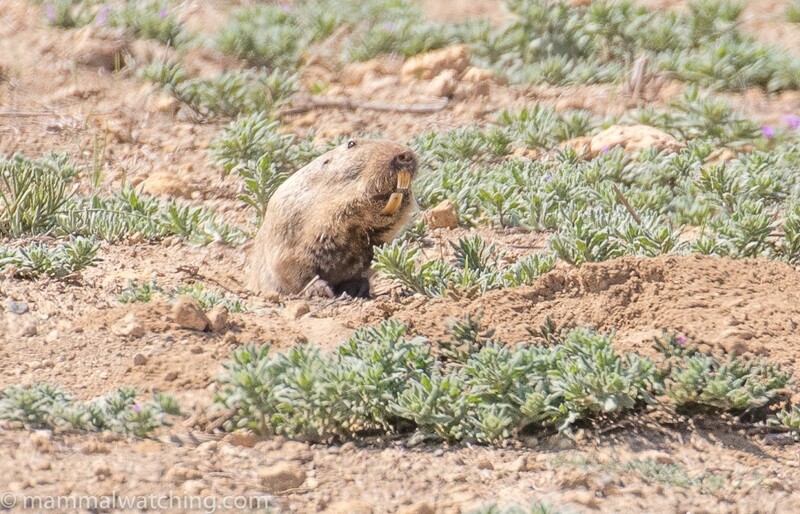 I couldn’t find a Long-tailed Weasel, common in the area, but did see a White-sided Jackrabbit and a pair of Phillips’s Kangaroo Rats while spotlighting, along with several Silky Pocket Mice and North American Deer Mice. Small mammal trapping was off the charts, with nearly every trap full and most containing a Zacatecan Deer Mouse. Those that didn’t had North American Deer Mice, Mexican Spiny Pocket Mice, Western Harvest Mice and just two Perote Deer Mice. 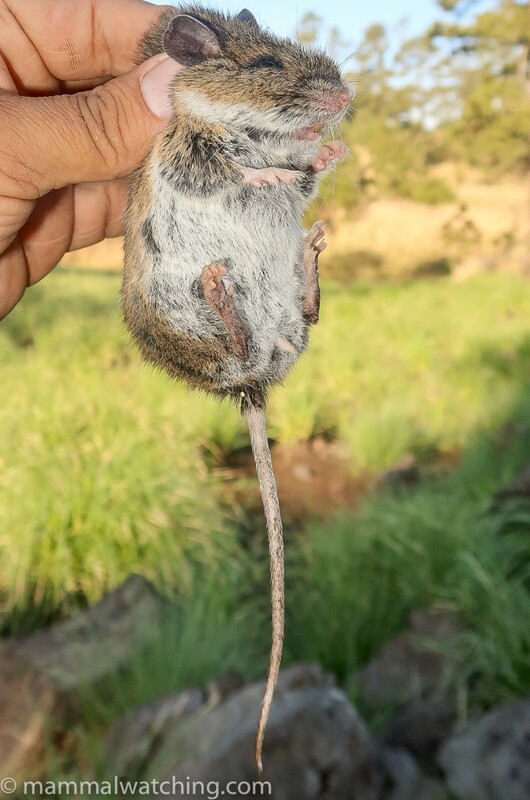 An hour east of Totalco, in Rancho Viejo near Xalapa, we caught several Blackish Deer Mice, an Alfaro’s Rice Rat and a Northern Pygmy Rice Rat in 2018. 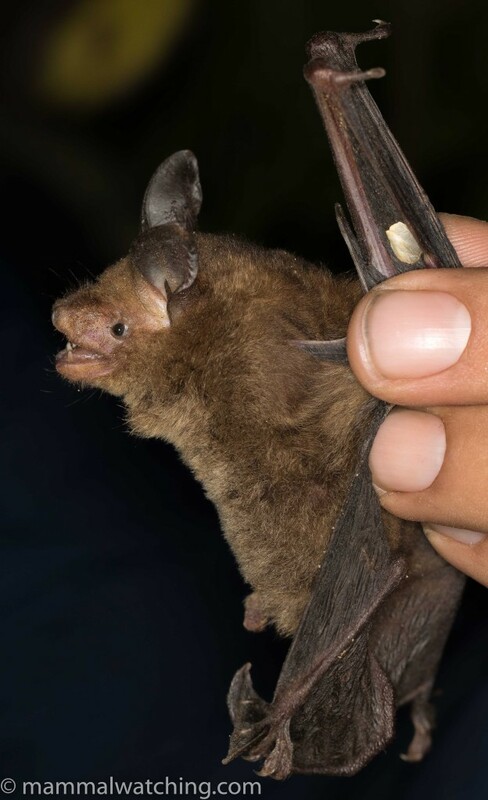 Two nights around Merida in 2019 produced Common and Hairy-legged Vampire Bats, Cozumel Golden and Mexican Funnel-eared Bats, Black and Alvarez’s Mastiff Bats plus Big-eared Climbing Rats and Yucatan Deer Mice. 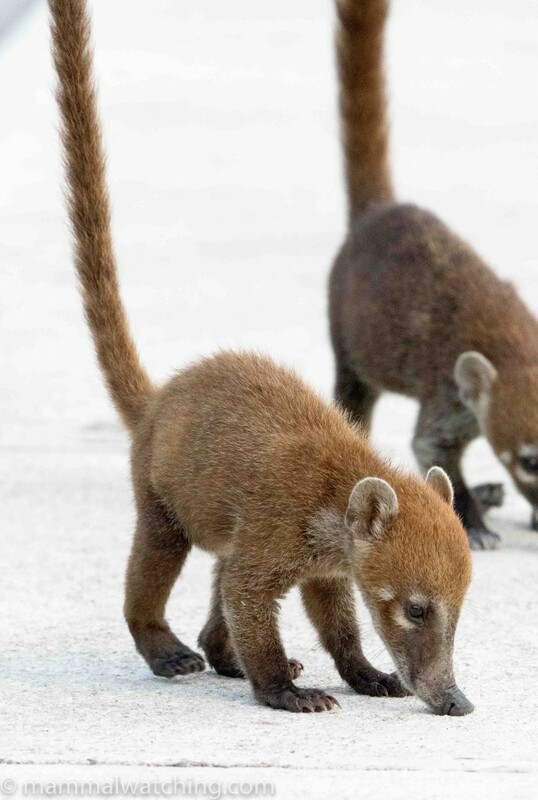 Mexico, considering its proximity to the USA, is under-visited by mammalwatchers. There are of course security concerns right now in parts of the country, but a lot of Mexico is as safe and friendly as it has ever been. 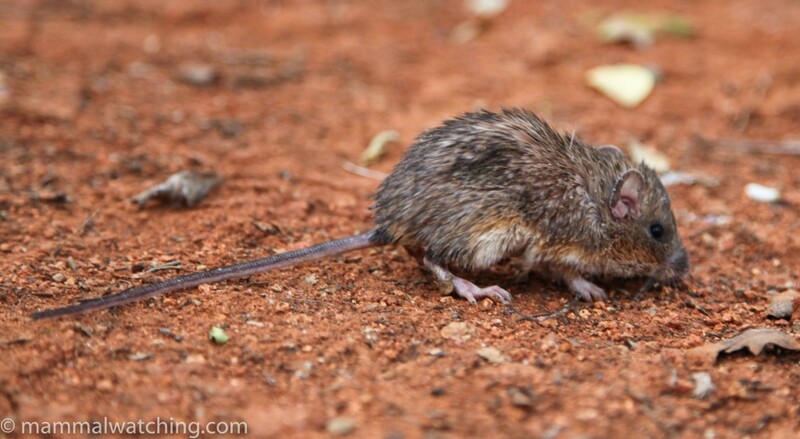 It is also jam packed with a plague of mammals, and many of the smaller ones are endemic. This is the perfect country to visit with a local biologist like Juan Cruzado Cortés. Not only does Juan know where to find the mammals, and how to catch them, but he can also ensure you stay safe and learn a lot about small mammal and bat catching in the process. 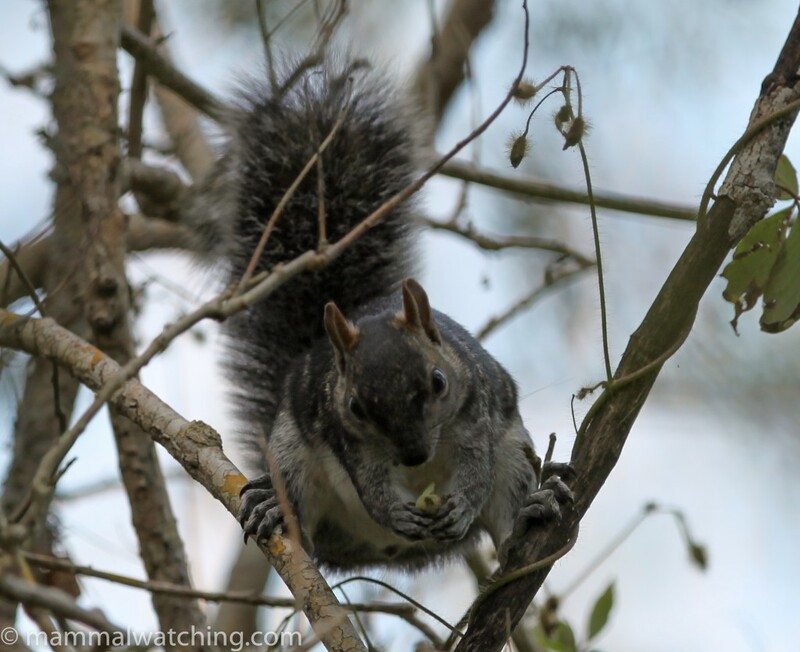 I’ve taken three short trips with Juan – here’s one in the Yucatan in 2019 – and there are many more that I plan to take. See more of the World’s Best Mammalwatching. 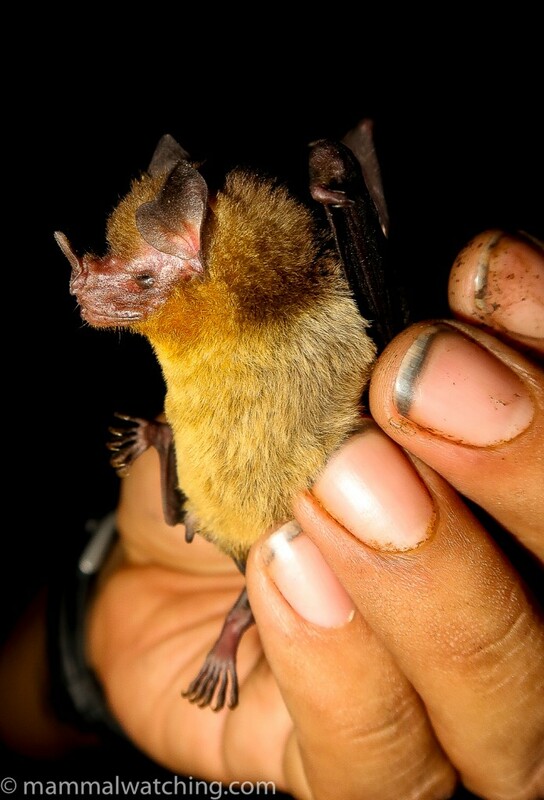 Yucatan, 2019: Jon Hall, 3 nights & 26 species including Orange-throated, Cozumel Golden and Hairy-legged Vampire Bats. Yucatan, 2019: Venkat Sankar, 3 nights & some nice species including a Margay, Mexican Mouse Opossum and Alvarez’s Mastiff Bat. Mexico City & Veracruz, 2018: Jon Hall, 3 days & 24 species including Volcano Rabbit, Volcano Mouse and Perote Ground Squirrel. Oaxaca, 2018: Jon Hall, 4 days & 22 species including Van Gelder’s Bat and Osgood’s Mouse. 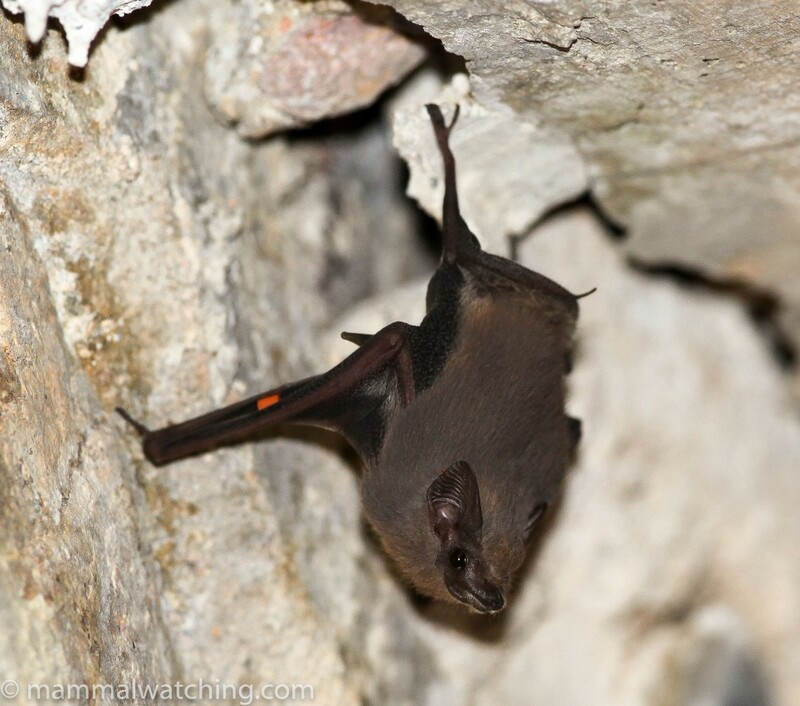 Yucatan, 2018: Venkat Sankar, 5 nights & 41 species including Hairy-legged Vampire Bat, Cozumel Golden Bat and Gaumer’s Mouse Opossum. Baja California & the Sea of Cortez, 2017: Richard Webb, 11 days & 16 species including Dwarf Sperm Whale, Peruvian (Pygmy) Beaked Whales and Guadalupe Fur Seals. Mexico, 2016: Venkat Sankar, 10 days & 42 species including Durango Chipmunk, Smoky Pocket Gopher, Southern Rock Mouse, Volcano Rabbit and Mexican Giant Shrew. Sea of Cortez, 2016 (April), 2016 : Naturetrek, 2 weeks & 15 species including Blue Whale, Bryde’s Whale, Guadalupe Fur Seal and Botta’s Pocket Gopher. Sea of Cortez, 2016 (Feb): Naturetrek, 2 weeks & 18 species including Blue Whale, Bryde’s Whale and Dwarf Sperm Whale. 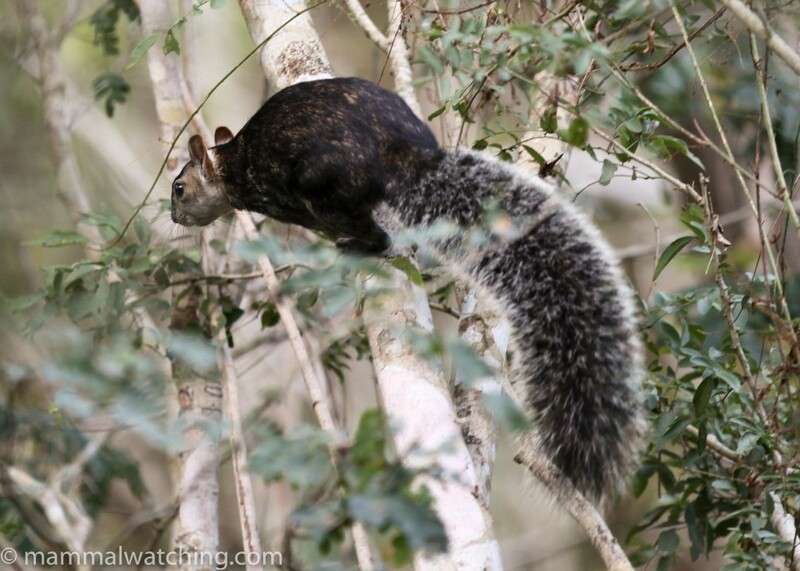 Quintana Roo, 2015: Jon Hall, 2 nights and 5 species including Cozumel Raccoon, Cozumel Coati and Yucatan Squirrel. Isla Guadalupe, 2014: Cheryl Antonucci’s trip to cage dive with White-pointer Sharks (Great Whites) also produced 12 mammals including Blue Whales, Guadalupe Fur Seals and Cuvier’s Beaked Whales. Fantastics pictures. Cozumel, 2012: Vladimir Dinets and some notes of a trip to Cozumel where the mammals include the endemic Cozumel Raccoons. Central America, 2011 & 12: Dominie Brugiere, combined notes on two trips through the Yucatan, Guatemala, Honduras and Belize. Lots of mammals. Mexico City area, 2012: Vladimir Dinets and some combined detailed notes on visits in 2003 and 2012, featuring many small mammals and bats. Mexico, 2011: Hugh Buck, a month mainly birding but with 17 mammal species. Baja California, 2010 : Coke Smith, 12 days & 21 species including Kit Foxes and an American Badger.